This page will provide a general overview and configuration requirements for the Propertybase dotloop integration. The following requirements must be met before configuring the dotloop integration. The dotloop integration package must be installed in your Propertybase account. Contact Propertybase Support for more information. Once dotloop has been installed in your account, follow the steps below to activate this integration. From the Control Center, click Dotloop. First, we need to setup OAuth. This is how Propertybase communicates with your Dotloop account. Click Setup OAuth in the lower right corner of the screen. On the next screen, sign into your Dotloop account. Once successfully authorized, click Close Window. Next click Get/Refresh Profiles and Templates to load in necessary template files. Nice work! Your Propertybase and Dotloop accounts are now connected. Next let's add the Dotloop component and appropriate fields to our page layouts for Listings, Offers, and Closings. Open any Listing record, then click the gear icon in the top right menu and click Edit Page. Drag the Dotloop component (under the left side Custom - Managed list) to right above Activity and Chatter. Now that we've added Dotloop to our Listing page layout, let's create our first loop! Open a Listing record that you would like to integrate with Dotloop. Click the LOOP IT button on the right side of the screen. Magic! You just created your first Loop with Propertybase. Log into Dotloop and you should see your new Loop. The image below shows our Propertybase Listing on top and the Loop we just created on the bottom. Click the new Loop from your Dotloop account. Click view details under the Loop title. On the next page, scroll down until you get to the "LISTING INFORMATION" section. Let's add some of those fields to Propertybase. After that, we'll populate them with data and demonstrate how to import that data back into Propertybase. From any Listing record, click the gear icon in the top right menu and click Edit Object. Click Sale under Page Layouts. Let's add the following fields from the "LISTING INFORMATION" section in Dotloop, to our page layout. Don't worry - you can always add or remove additional fields later. The image below demonstrates how to add "Expiration Date" to the page layout. Continue adding fields until you have added the four fields listed below. Note: Hovering over a field will display the API Name. All Dotloop fields start with "pba_dl.". When finished, click Save at the top of the screen. Repeat all steps above for the Offers and Closings objects. Note: Skipping this step will result in your Dotloop integration failing. A full list of custom fields included in the dotloop integration can be found in the "Custom Mappings & Fields" tab on this page. If an Offer or Closing record is not associated with a Listing with a Loop, the system will display an error. Once you have set up communication between your Propertybase and Dotloop accounts and configured page layouts for Listings, Offers and Closings - you are ready to synchronize some data. Let's explore that below. Data synchronization between Propertybase and Dotloop is a two-way process. Data syncs from Propertybase to Dotloop and also from Dotloop to Propertybase. Any available Dotloop field can be mapped to a Propertybase field. Scroll down until you find a Dotloop field. Once you've saved your changes, scroll to the top of the page and click Update Loop. Done! Your Propertybase data is now in Dotloop. Note: You can also pull information from Dotloop by clicking the Copy from Dotloop button. When you create a new Listing in Propertybase, the status is automatically set to Off-Market. For obvious reasons, Dotloop does not accept "Off-Market" as a Listing status. Default Propertybase/Dotloop mappings for Listing status are shown below. Changing the Listing status to one shown above will resolve the "Status of "Off-Market" is not mapped for dotloop" error. In addition to the default mappings that come with the Dotloop integration, it is possible to create your own custom mappings. Custom mappings can be added through the Settings object. dotloop_offermappings These are all mappings for the Offer object. dotloop_listingmappings These are all mappings for the Listing object. dotloop_closingsmappings These are all mappings for the Closing object. dotloop_* All other settings that start with dotloop_ are simply for use by the system. In the steps below we explore how to create a custom mapping. This section assumes you are familiar with how to create a custom field in Propertybase. In this example, we are going to map a custom Listing field to the Dotloop field "MLS Number". In the list of settings, click dotloop_listingmappings. Remove the current field name for MLS Number and replace with your custom field name. Done! You can now sync data between your custom field and dotloop. Note: To reset defaults mappings, click the Reset Default Mappings button in the control center. Note: You must be on version 1.26 of the Dotloop package to support custom dotloop fields. To update to the latest version of the dotloop Propertybase integration, please contact Propertybase Support. In dotloop, it is possible to create custom fields. Adding the setting shown below will allow custom dotloop fields to appear in Propertybase. Not sure how to add settings in Propertybase? Click here. 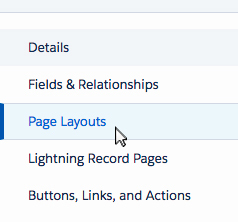 The "[Section]" is the section header for a group of fields. The "[Field]" is the complete field name of any field. In this example, the complete setting value would be Financials:Sales Commission Total. Note: Custom dotloop fields must still be mapped to a corresponding Propertybase field. The following is a list of all custom fields included within the dotloop package. 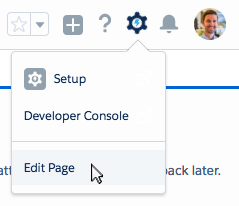 Note: dotloop does not currently support team profiles through 3rd-party integrations. If and when dotloop supports this feature, it will be implemented in Propertybase. Until then please contact dotloop regarding this issue. Have questions about your dotloop account? Click here for dotloop support.